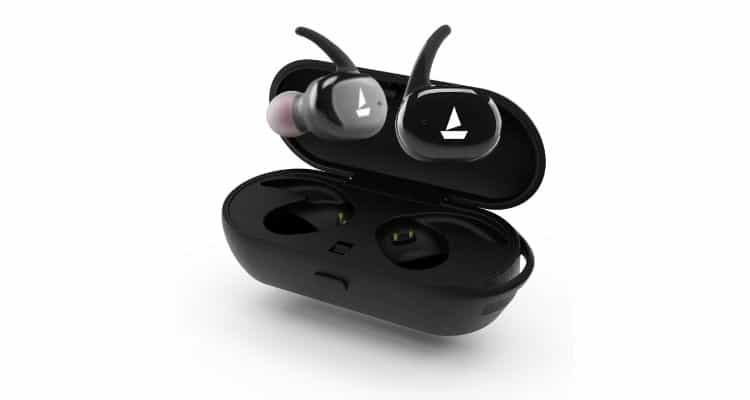 boAt lifestyle has introduced their latest offering Airdopes 211 portable True Wireless Earbuds in the True Wireless category after the success of FreesoulZ 511 to target the youthful consumer base. Their new category called Airdopes is for the carefree wirefree generation. The product offers premium HD sound powered by 8mm drivers that gently leads you down the road of Nirvana. Airdopes 211 have a sleek comfort oriented design that is meant for today’s millennial generation who demand style and sound at affordable price points. boAt Airdopes 211 is powered by Bluetooth V4.1 which offer stable connectivity along with a clear stereo sound. Convenience is on hand with the 450 mAh stylish charging case that easily charges the earphones 3-4 times over which means you can use them for a total of 10- 14 hours while each earbud works for 2.5 hours on a single charge. When in use the Capacitive Touch Controls allow you to pick tracks and answer calls with zero hindrance. The sensors on the side of each earbud make for a fun all function encompassing interaction. boAt Airdopes 211 have featherweight in-ear ergonomic finish.Built with a glossy black coating that carries premium soft eartips, these 11.2 grams earbuds scream delicate balance, detailed framework and quality material. The Airdopes 211 are IPX 4 sweat and waterproof. boAt launches Airdopes 211 Portable True Wireless Earbuds with Stylish Charging Case 0 out of 5 based on 0 ratings. 0 user reviews.